Despite the growing global outrage over poaching, more and more of Africa’s rhinos are slaughtered for their horns every day. The problem is particularly acute in South Africa, where an average of 3.2 rhinos were lost per day in 2015. At that rate, the remaining population will be wiped out by the year 2036, with the critically endangered black rhino disappearing much sooner. To address this urgent need, the Rhino Conservation Program has stepped in with translocation and protection initiatives, taking a stand against poaching before it’s too late. AKP and Sanctuary Retreats have strategically partnered with Rhino Conservation Botswana, the Botswana Defence Forces and other partners to translocate 20 rhino, both black and white, from South Africa into the Moremi Reserve in Botswana where they will be safer from poachers. There they are under protection 24/7 and have a greater chance for survival. 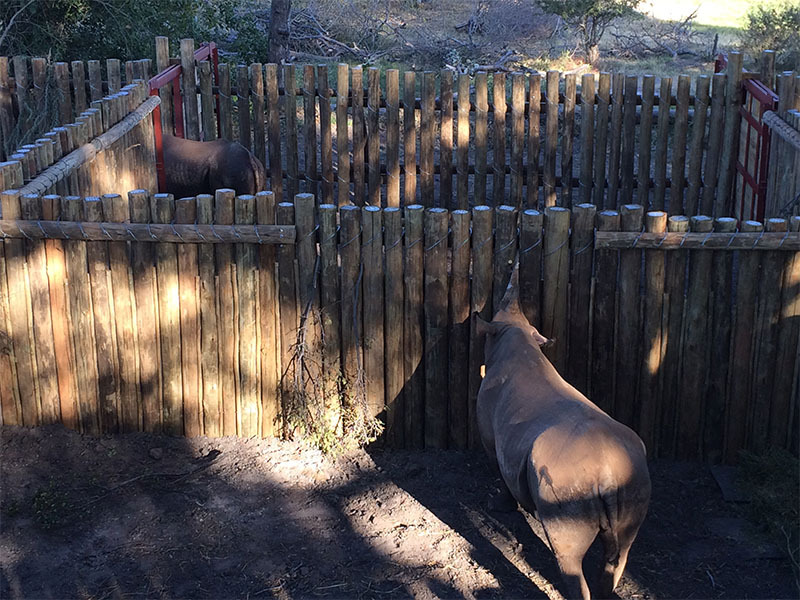 Our support was initially directed to building large enclosures, called “bomas”, that are strong enough to temporarily house the rhino introduced in the region. The Moremi Reserve was chosen as it provides suitable habitat, good security, restricted range, and existing monitoring capacity. AKP has expanded our commitment to monitoring and protection activities on the reserve, with the help of Sanctuary guides and two full-time Conservation Officers. Learn about these unique animals and the process of translocating them during a presentation by our designated AKP Coordinator in Botswana, and then journey into the reserve during a game drive to view the rhino, along with other wildlife, thriving in their new home. A&K can include a opportunity to learn more about the Rhino Conservation Program on a Tailor Made Journey to Botswana. Call our offices in Australia, the UK or the USA for assistance in creating an itinerary just for you.